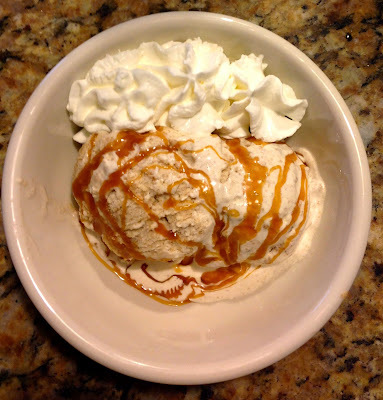 This summer has been a summer full of creating homemade ice cream recipes for my family. I have also gotten into making Texas style sheet cakes. 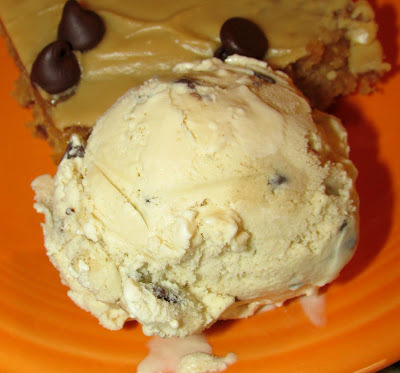 I develop a sheet cake recipe and then make an ice cream recipe to go with it. For the cookie dough ice cream, I didn't want to just add cookie dough chunks to vanilla ice cream. 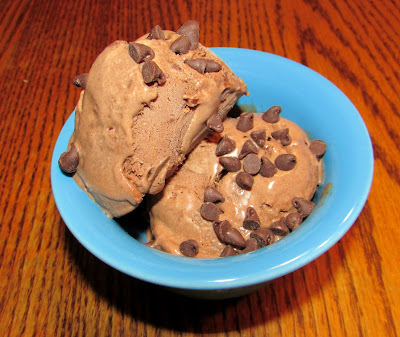 After thinking about it, I realized the only change I would need to make to my vanilla ice cream recipe would be to use only dark brown sugar as the sweetener. The cookie dough bits are so tasty that I wasn't sure they were going to make it into the ice cream. Carlee's brother, Collin, was here to taste test. Every time I turned my back I caught him sneaking more bits. Luckily the recipe made more than what I needed to put into the ice cream. The taste tester of the family also has to taste the ice cream base. He kept taking bits of cookie dough and dipping it into the ice cream that was left on the freezer bowl. I knew I had a hit on my hands! My family really enjoyed this ice cream. Just wait until you try the cake that I made to go with it. I'll share that recipe also! You guys, in case you can't tell by looking at it, this ice cream is GOOOOOD! The brown sugar in the base really makes all the difference. This might be one of my favorite MiMi ice creams yet, and that is really sayings something! Mix together the vanilla and milk. Alternately add the flour and milk mixtures to the butter. Stir in the chocolate chips. Line a cookie sheet with parchment paper or waxed paper. Press the cookie dough onto cookie sheet to a depth of about 1 cm. Place in freezer while making the ice cream base. Remove cookie dough from freezer and cut or break off bits of cookie dough the size you would like them in your ice cream. 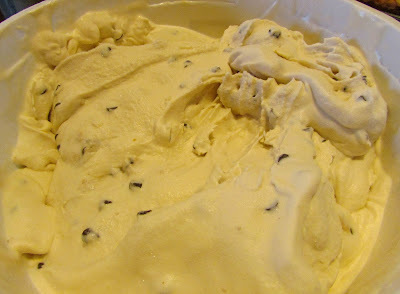 Stir cookie dough bits into the ice cream as soon as it is done churning. 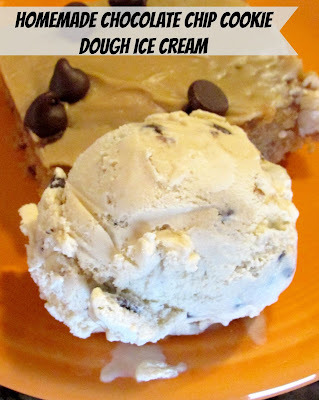 I love ice cream and these recipe doesn't look like it disappoints. Thanks for sharing it at the #AnythingGoes Link Party. This is sooo good. The brown sugar in the base makes all of the difference! What a great Ice cream!! I want some now! Thanks for sharing on My 2 Favorite Things on Thursday!! Hope to see you again this week!! I pinned this to My 2 Favorite Things Pinterest Board! It is soooo delicious. A great way to send summer out with a bang! Oh I bet that brown sugar flavor is so good! Thanks for linking up at #SaucySaturdays. It really changes the flavor of the vanilla ice cream! Thanks for stopping by! 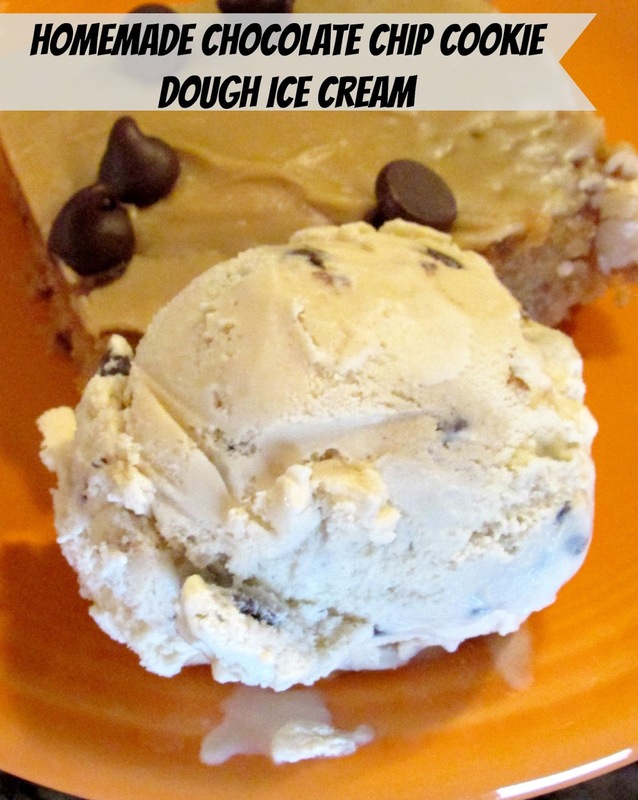 ohhh this is my son's fav ice cream so what a surprise when I make it for him :) Thanks for sharing this homemade cookie dough ice cream recipe! It is a fun one to do homemade and the brown sugar gives it that great cookie dough flavor! I hope he loves it!